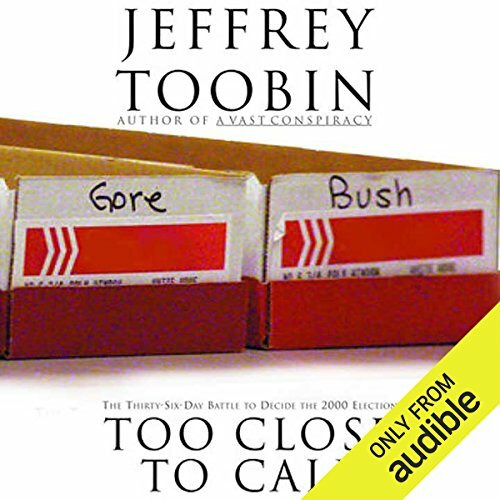 Packed with news-making disclosures and written with the drive of a legal thriller, Too Close to Call takes us inside James Baker's private jet, through the locked gates to Al Gore's mansion, behind the covered-up windows of Katherine Harris's office, and even into the secret conference room of the United States Supreme Court. As the scene shifts from Washington to Austin and into the remote corners of the enduringly strange Sunshine State, Toobin's book will transform what you thought you knew about the most extraordinary political drama in American history. The Florida recount unfolded in a kaleidoscopic maze of bizarre concepts (chads, pregnant and otherwise), unfamiliar people in critically important positions (the Florida Supreme Court), and familiar people in surprising new places (the Miami relatives of Elián González, in a previously undisclosed role in this melodrama). 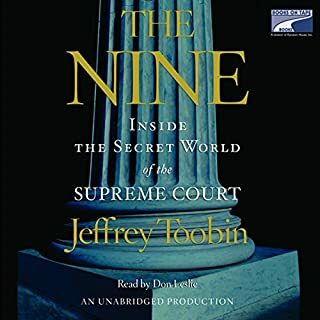 With the rich characterization that is his trademark, Toobin portrays the prominent strategists who masterminded the campaigns - the Daleys and the Roves - and also the lesser-known but influential players who pulled the strings, as well as the judges and justices whose decisions determined the final outcome. Toobin gives both camps a treatment they have not yet received - remarkably evenhanded, nonpartisan, and entirely new. The post-election period posed a challenge to even the most zealous news junkie: how to keep up with what was happening and sort out the important from the trivial. Jeffrey Toobin has now done this - and then some. 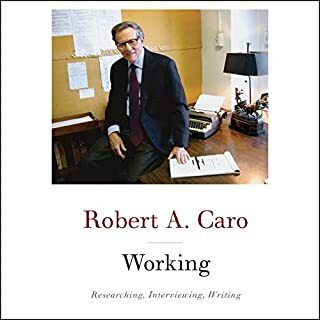 With clarity, insight, humor, and a deep understanding of the law, he deconstructs the events, the players, and the often Byzantine intricacies of our judicial system. 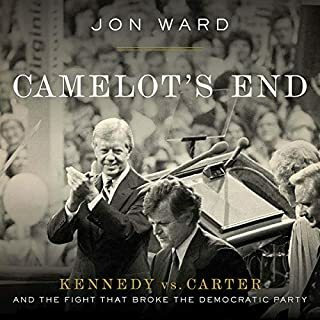 A remarkable account of one of the most significant periods in our country's history, Too Close to Call is endlessly surprising, frequently poignant, and wholly addictive. 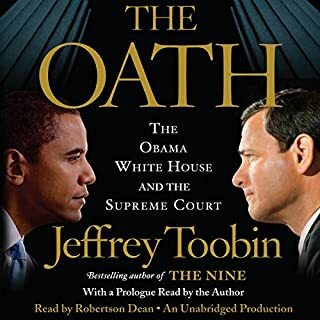 ©2001 Jeffrey Toobin (P)2017 Audible, Inc. 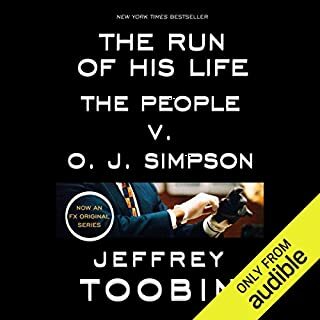 I don't agree with many of Toobin's opinions and conclusions, but I have enjoyed his books on OJ Simpson, Patty Hearst, and this one on the incredible Florida 2000 recount. The narration is first rate. The wrong man was elected president. An amazing account of how the 2000 election recount unfolded and ultimately yielded Pres. Bush. 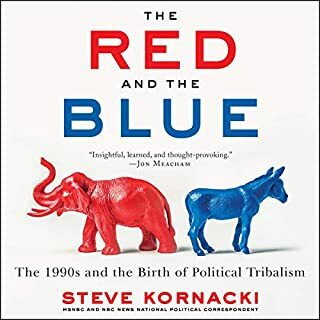 The author is clearly biased against George W. Bush, but this does not detract from the enjoyment of this fantastic book, because the author is upfront about his bias and is extremely objective in his telling of the story and analysis. In fact, apart from his belief that Gore is a better human than Bush, most of his commentary about Gore is negative (cannot make decisions, prefers to hob-nob with journalists and write op-ed pieces rather than get in the trenches, and hire and fires staff with no consistency causing low morale on his team, ...) while his comments on Bush and his campaign are often quite admirative (does not micromanage, leaves subordinates room to work, does not fire staff wantonly and thus gains their total devotion, focuses on the deciding issues and is not afraid of flak, ...). It's a bit like reading a history of the May 1940 Blitzkrieg written by a French general; of course he would have wanted the French Army to win, but he cannot help but admire the Wehrmacht's performance, and bemoan the sad state of the French Army and high command. While the subject matter is familiar, this story has many twists and turns to keep one's interest. The main flaw in this book is the author's obvious partiality to one side, which gets in the way of the reader's own analysis. The characters are larger than life, the narrator us excellent and overall I would recommend this book.